Liz Brown (Plano, TX) – Massage Therapist of The Week. Liz is a graduate of the Texas Massage Institute and operates Massage Therapy Center of Plano in Plano, Texas. A State of Texas licensed massage therapist and member of ABMP, Liz specializes in Therapeutic massage, Thai Traditional massage, Swedish relaxation massage, deep tissue (pain relief) massage, trigger point therapy, Pregnancy (prenatal & postpartum), and Hot stone massage. 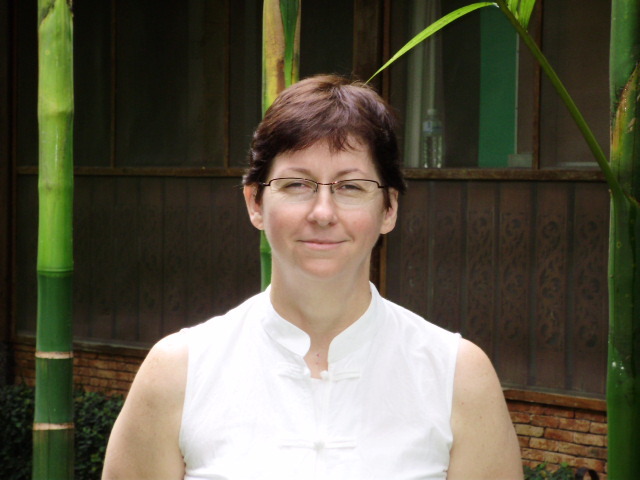 Liz is a Certified Level 1, 2, 3 essential practitioner of Thai Yoga Massage and completed Portland, Oregon’s Naga Center School of Traditional Thai Medicine Thai Pregnancy Massage and Thai Herbal Compress Massage courses. She is also Pregnancy and Postpartum Massage Therapy certified as well a certified Orthopedic Massage Specialist. Additionally she completed Indian Head Massage training with the London Centre of Indian Champissage International and studied in Thailand at Baan Hom Samunphrai.